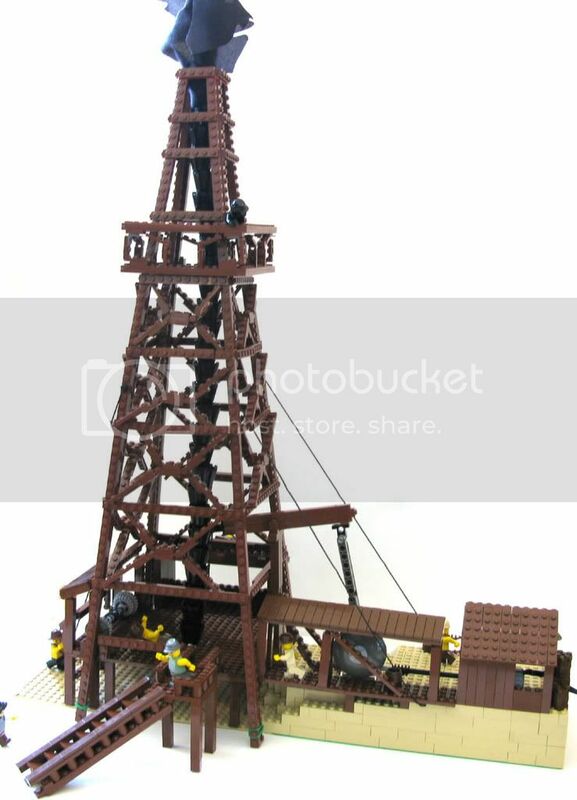 Jordan Schwartz‘s latest creation is the oil tower from the movie There will be Blood. The construction of the structure is fascinating when considering how all the angles came together nicely in the final product. Way to strike it rich Jordan! Meanwhile, there’s a clip showing that the oil derrick is amazingly functional. Quotes aside, that’s a dang fine oil rig.